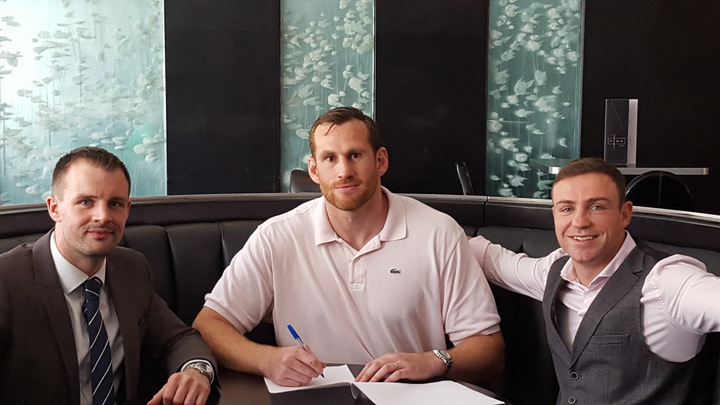 When you have been KO’d three times in quite rapid succession the way heavyweight contender David Price has, every fight is a potentially career ending one. One more KO loss, and it could be the end of Price, at least at anything like top level. Price and his team are surely aware of this as the former British champion and former Olympian heads into his February 4 fight with Christian Hammer, this fight being the first real test for Price since being blasted by Tony Thompson (twice) and Erkan Teper (who was out-pointed by Hammer in his last fight). But the giant from Liverpool is very optimistic right now, as well as confident. Price, in speaking with Nick Parkinson, said he feels he is two wins away from a world title shot, possibly the WBO title currently held by Joseph Parker. Right now there are growing rumours that say Parker will make his maiden defence against mandatory challenger Hughie Fury, in the UK in April. And Parker’s people have been speaking with WBC champ Deontay Wilder about a unification fight after that. But Price is hoping he will get a shot later on this year. Of course, all this ends if Hammer beats Price next month (in a fight that will support the Chris Eubank Jnr-Renold Quinlan bout). Price, too, remains hopeful of getting a big fight with Tyson Fury, who is expected to return to action this year. Indeed, Fury against Price (who holds an amateur win over Fury) could be a big fight this summer – if Price can get past Hammer and look good doing so. But will Price’s nerves get the better of him in the Hammer fight? This one really is a must-win bout for the 33-year-old.